I don’t know about you, but I am forever losing or breaking my favorite pieces of jewelry. One earring disappears… three necklaces get tangled in a knot… you know the drill. Anyway, I happened to find a free knick-knack shelf that someone had painted a creamy white color. When I picked it up, I wasn’t sure exactly what I was going to do with it (which is breaking one of my cardinal rules… because if I don’t know what I’m going to do with it, it will most likely become clutter. And I already have plenty of clutter). But this shelf was just too cute to pass up. And then I came up with a plan for it! 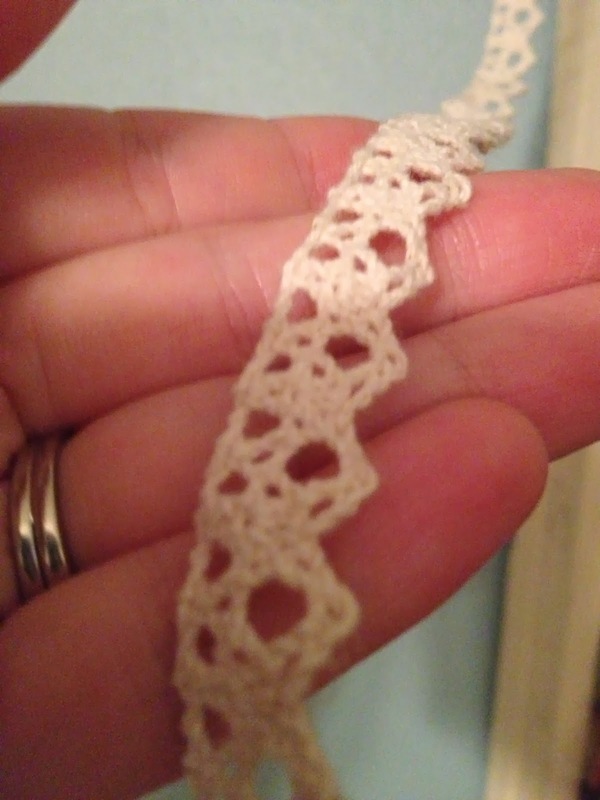 I bought a yard of this lace and some pretty upholstery nails (short nails with a wide decorative head) at a craft store. Then, I… well, actually Todd, after I hit my thumb one too many times… nailed the lace in a diagonal pattern across the top of the shelf. Across the middle of the shelf, we only nailed the nails in halfway – leaving some space between the shelf and the nail heads to create hooks. 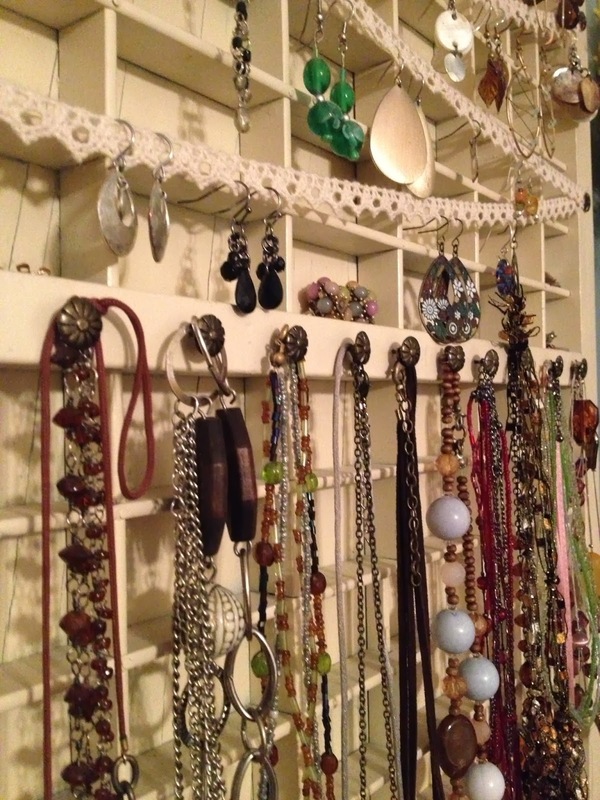 I use the tiny knick-knack shelves to hold stud earrings, and hang the rest of my earrings on the lace. The necklaces hang on the nail “hooks”. 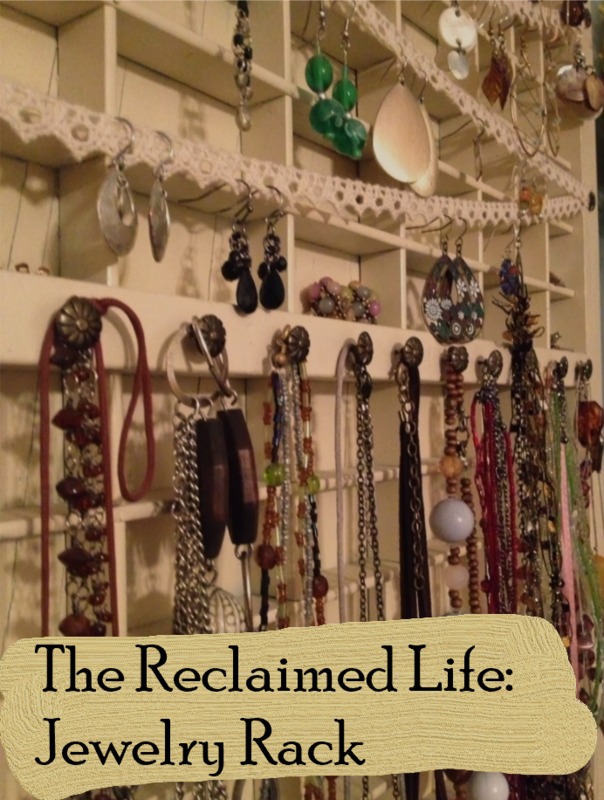 I can’t say that I never lose or break my jewelry anymore, but I can say that it is a lot more organized than it used to be! 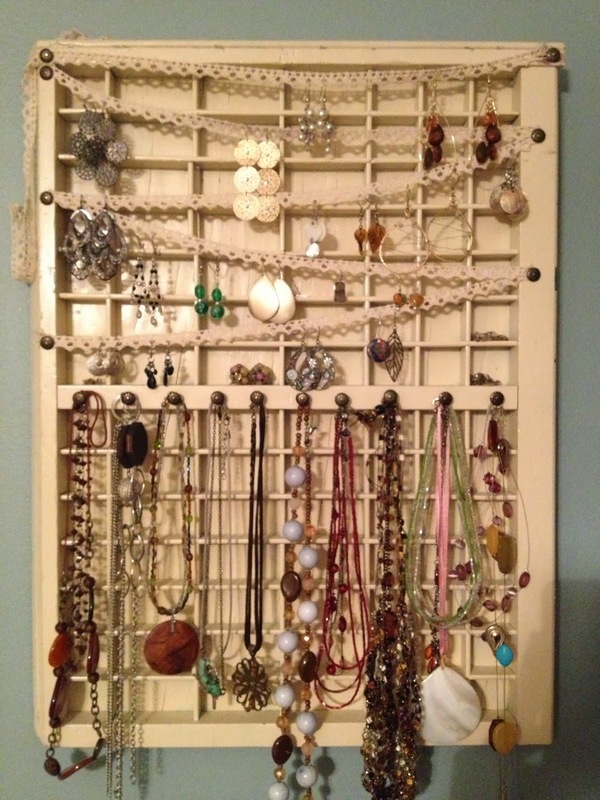 And now I have my own jewelry “display” instead of having it all jumbled in a drawer or a box. This has to be one of my all-time favorite (and easiest) projects!